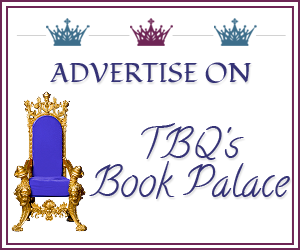 TBQ'S Book Palace: Blog Tour: Guest Post w/ Ann Gimpel! Blog Tour: Guest Post w/ Ann Gimpel! 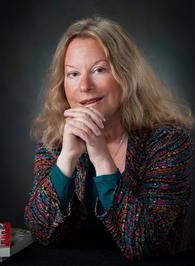 Ann Gimpel is a clinical psychologist, with a Jungian bent. Avocations include mountaineering, skiing, wilderness photography and, of course, writing. A lifelong aficionado of the unusual, she began writing speculative fiction a few years ago. Since then her short fiction has appeared in a number of webzines and anthologies. Two novels, Psyche’s Prophecy, and its sequel, Psyche’s Search, have been published by Gypsy Shadow Publishing, a small press. A husband, grown children, grandchildren and three wolf hybrids round out her family. Thanks so much for the invite to guest blog on your site. Stories about turning back time, finding a fountain of youth and living forever have always been popular. There is something seductive about being able to go back to another time, or take a peek into a yet-to-be experienced future. So, how does this apply to writing? Virtually all stories have a point of view (POV) character. This is the character whose eyes the story is viewed through. Many novels are told from a single POV. Some have several POV characters. Since the reader can’t know more than the POV character knows, it can be challenging to write a lengthy novel from a single point of view. For one thing, that character has to be in every single scene because if they didn’t see something happen, the author can’t write about it. The loose link with time travel is that a character actually has to be there, going back in time, to understand how having a conversation with, for example, a woman standing on a street corner might alter the course of history. The author needs a consistent character who can interpret the impact of time travel as it moves along a timeline to the present day. An easier way to do that might be to have POV characters in different eras and some way they can communicate with one another to draw things together. In 1843, Dickens wrote about the ghosts accompanying Scrooge into his past and future in A Christmas Carol. H. G. Well’s Time Machine came along in 1895. And let’s not forget Mark Twain’s, A Connecticut Yankee in King Arthur’s Court. That one was also published in 1895. If you go to Wikipedia, there are scores of books and movies about time travel which tells me there’s an archetypal desire on the part of humans to explore both past and future. 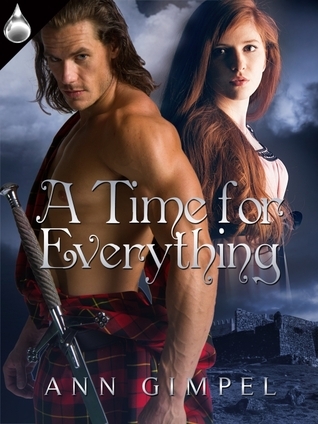 On a more modern front, there are all of Diana Gabaldon’s books featuring a time-travelling nurse/doctor who goes back to eighteenth century Scotland. One of the hallmarks of successful genre writing is good research. For a book to have that verisimilitude twang, the author simply has to put in the time to understand what they’re writing about. I think it’s actually easier to write about a future that hasn’t happened yet, than about a past that has. Reason is there are lots of armchair critics out there who probably know way more than I do about the French Revolution or the American-Indian War or the geography of Tanzania. So, if I’m going to turn out a genre novel featuring time travel, I need to pick places in time I can write cogently about. Have you ever considered time travel? Where would you want to go and why? What would you do when you got there? Readers: Don't forget to answer Ann's question! Have you ever considered time travel? Where would you want to go and why? What would you do when you got there? 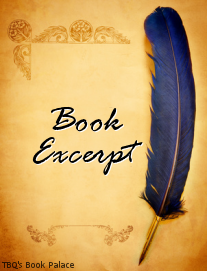 Also, check out the promo for Ann's other book that's on tour, GABRIELLE'S CAULDRON! Thanks so much for hosting me! What a great blog you have. Good artistic eye, there! Time travel has always fascinated me. I suppose that's where this story came from. I'd love to hear from your readers. If I could travel in time I'd... go back to the younger me and tell her it's okay to disagree. Thanks, Ann! 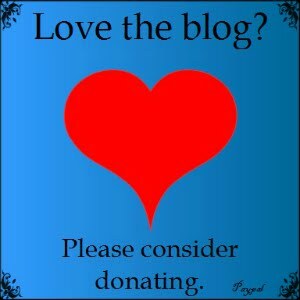 :) Glad to have you on the blog! I'm off to spread the word about the post, hopefully get the conversation going! I just love the sound of this one!!! I think If there was any time to time travel in it would probably be in any time in England or Scotland, I have always had a fascination for it, and I would love to see it, and maybe even meet a Duke or a Laird. For Lover of Romance. You almost don't have to time travel to appreciate how old everything in the UK is. There's such a sense of history that we don't have here in the states. I consider time travel regularly. I'm always saying that I hope to find that portal someday. My soul aches for the past with a need that is beyond explaining with words. I would love to speak to William the Conqueror, any of the Plantagenets or their Queens, Queen Elizabeth I, King Malcolm III and Margaret, Robert the Bruce, just to have a chance to sit and pick their brains. What an amazing experience that would be. As for "armchair critics" I will never understand them. It's historical fiction. You can try to get the basics correct as history records it but there has to be some fiction to make a story. Those critics are a tad too serious if you ask me. Let an author write a story, lose yourself in the story and let them take you there through their words. As long as the author doesn't try to move dates for huge historical events, such as saying the Battle of Hastings happened in 1200 instead of 1066, let the little things go. I love my history as much as the next person but I refuse to pick something apart that's written for my enjoyment, it's not a text book that I'm picking up.